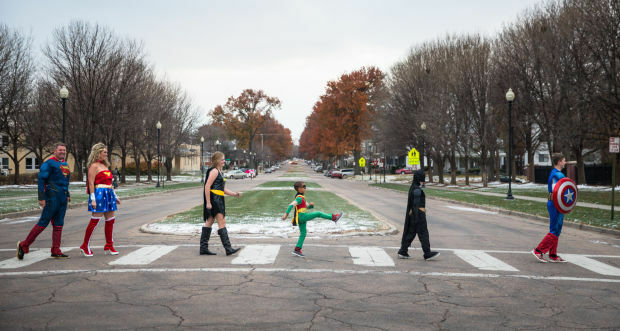 Boy Asks the Family Adopting Him to Dress as Superheroes. 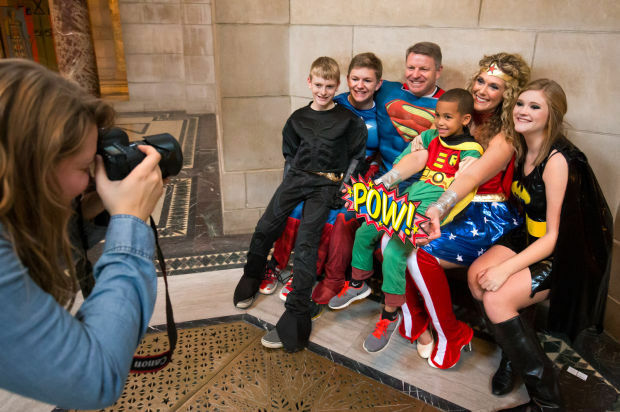 Deonte, the Boy Wonder, wanted his family — his whole family — to dress up as superheroes for his adoption day Saturday. 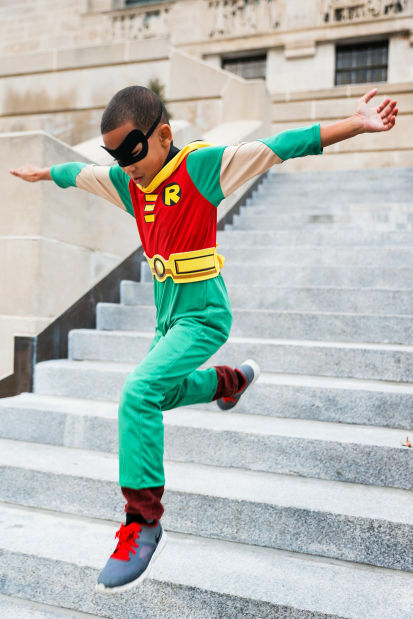 You see, Superheroes are just about D’s favorite thing. Um, no, his new mom told him. We’re not doing that. I don’t think Daddy is going to want to wear tights to the courthouse. His adoptive parents are going to raise D the way they raised their other children, Jake, Thea and Benny. To be a good citizen, to give back to the community. They already see it happening. He’s learning his new family, their routines, their oddball humor. At school he practices writing sentences. Such goodness is so inspiring!! Thank you! Awesome!! Look at those smiles …. Deonte is one lucky little boy! And, they are superheroes, even without the costumes. Best wishes for the larger family. 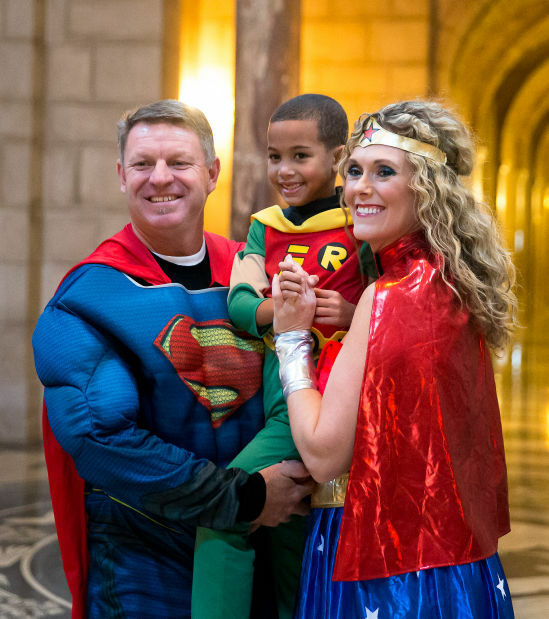 A wonderful story about Parents who chose to be loving, supportive and just simply amazing!